If you have a look at the Rockhopper Comp in the above 1992 brochure you will see that the colour scheme on our bikes was offered as an option and to the best of my knowledge was only available during 1992. Thanks a lot. That's pretty clear and I'm certain that the Rockhopper Comp would only have these colors once and not in the previous year so I guess my bike is a 1992 model after all. 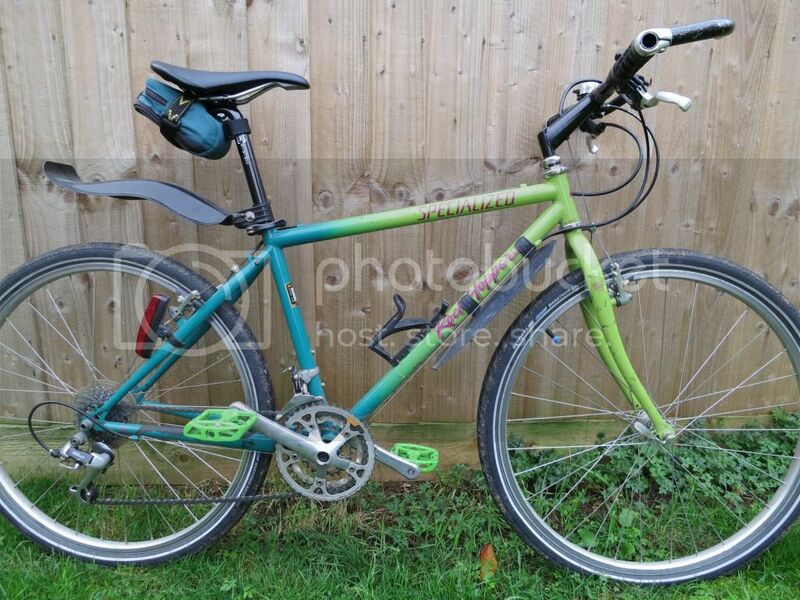 I am striping one of these down at the moment to convert into a single speed, I only need the wheels , seat , seat post frame and forks - the non-drive side crank is shot as are all the bearings and stem, but if anyone needs break or gear parts drop me a line they are yours for postage. Great bike, even better..... it looks like you ride it too! !